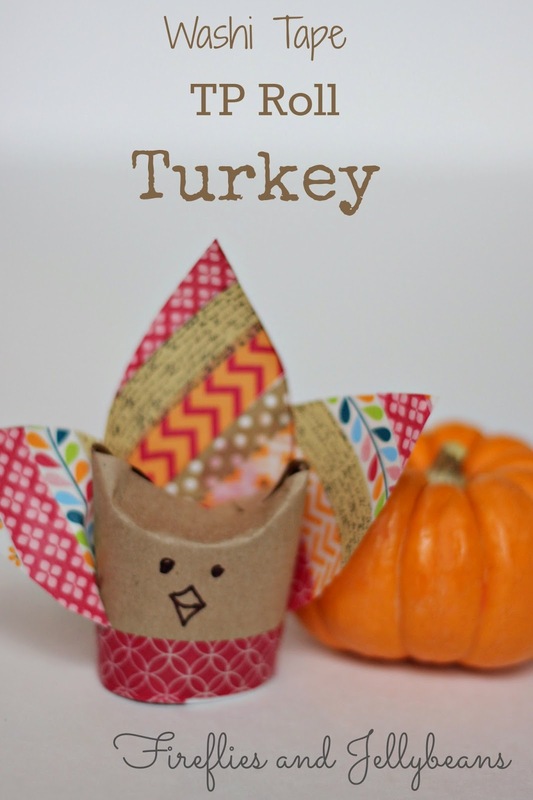 Need a super cute and fun Turkey Day craft? I have it for you today! 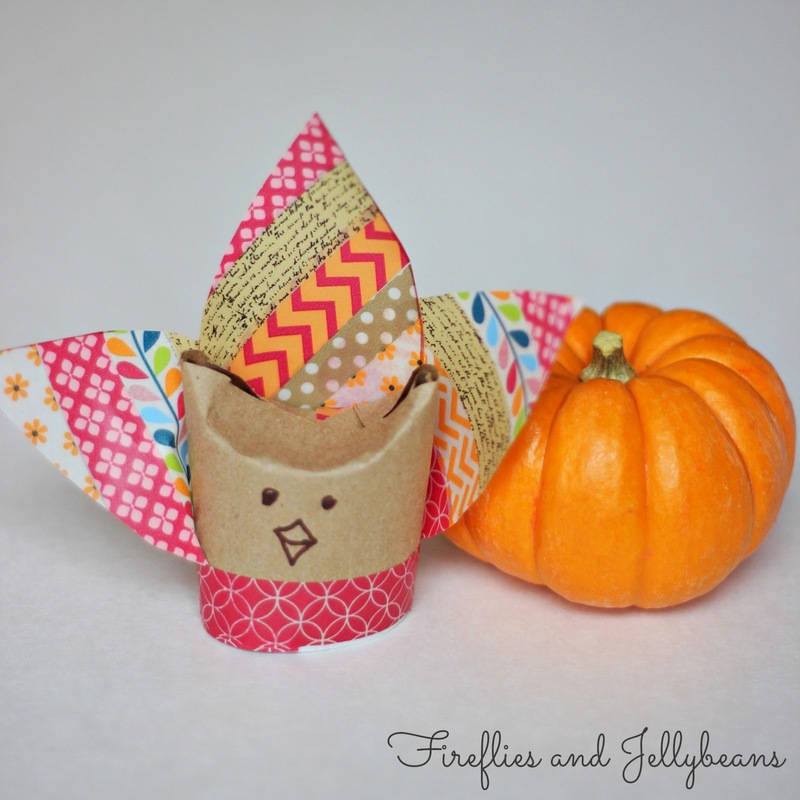 These would be so cute as name cards at Thanksgiving place settings! And the kids can help! 3. 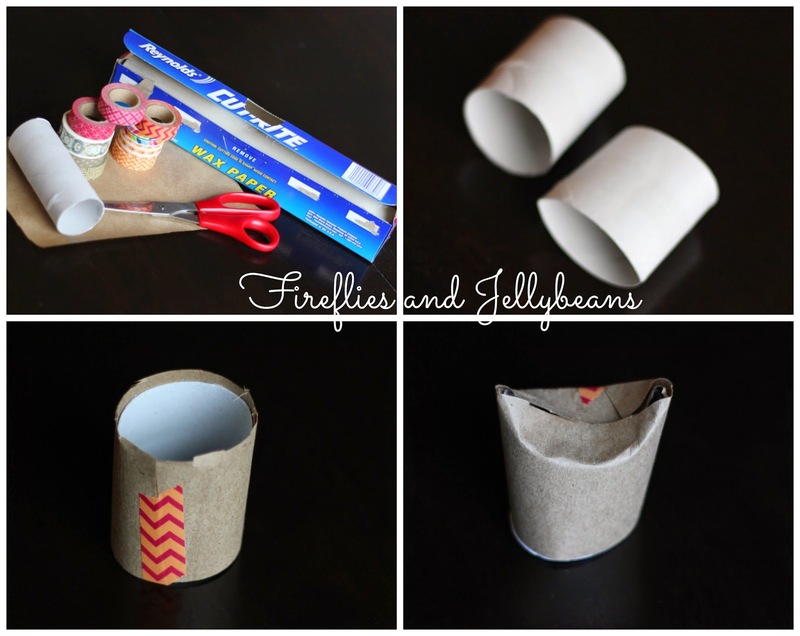 Cover the roll with Kraft Paper and tape it... this is the back side. 4. Push down the top to form the head. 5-6. 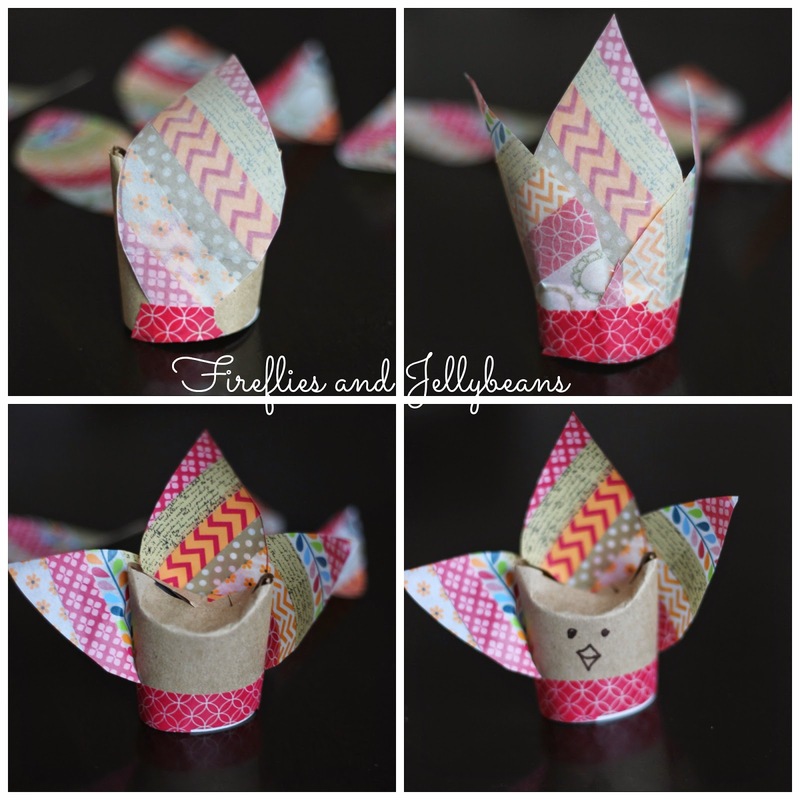 Take a piece of wax paper (about the size of an 8X11.5 piece of paper) and cover it with strips of Washi Tape. 7. 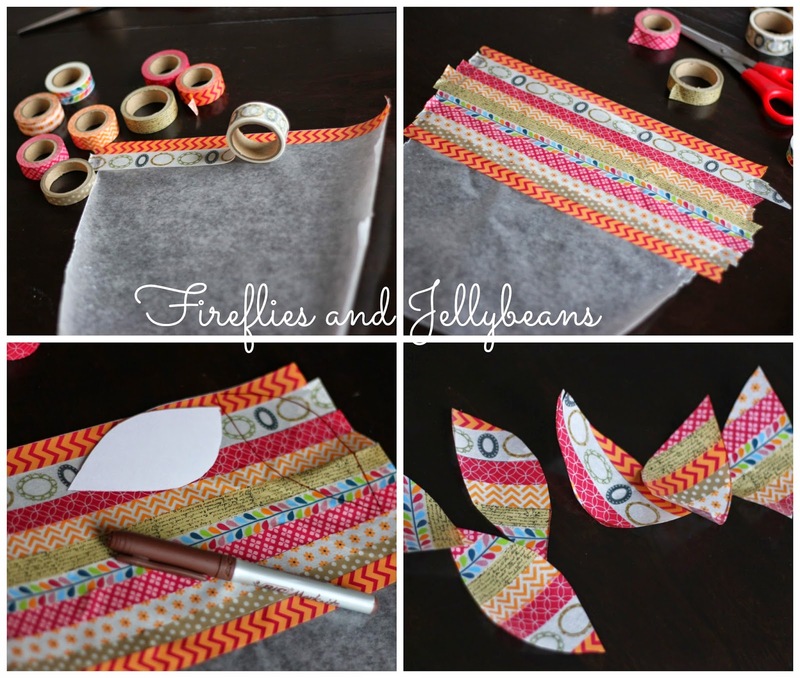 Make a "feather" template (optional) out of scrape paper and trace it several times on your Washi Tape sheet. 8. Cut out your feathers. 9. On the back side tape a feather to the middle. 10. Tape 2 other feathers on either side. Depending on how big your feathers are continue until you are happy with the feather coverage. 11. 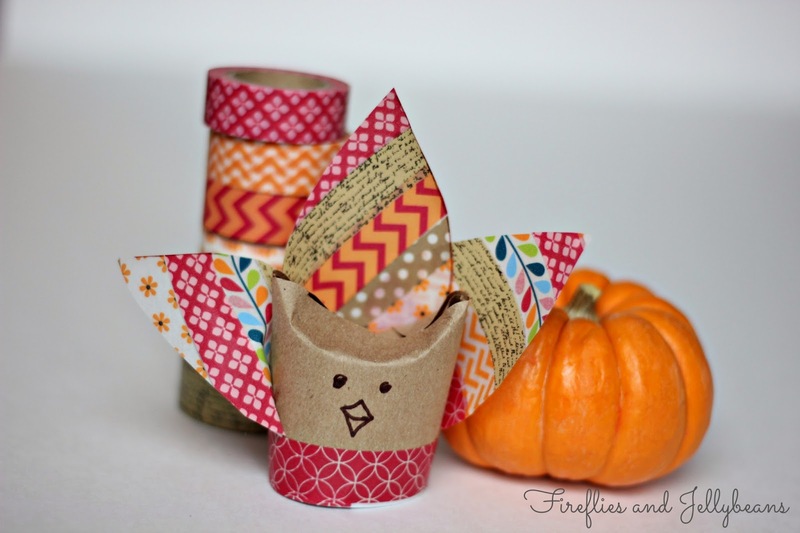 Add a piece of Washi tape around the whole thing to keep the feathers in place and add a decorative piece in front. 12. Draw on a face with Marker.